I have two of these. One standard on a 6.5×55, and the big one on a 338 lapua mag. Here is a video I shot with my 6.5×55 loaded with 54grs n570 shooting 140 VLDs in 880 m/s. Not much movement left in the rifle. Nice brake but I’ll stick to Witt Machine. 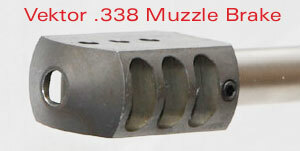 I like holes in the top to keep muzzle rise down also made in the U.S.A. Sorry steve i forgot to add the word more I believe my witt has like 30 holes in the top. 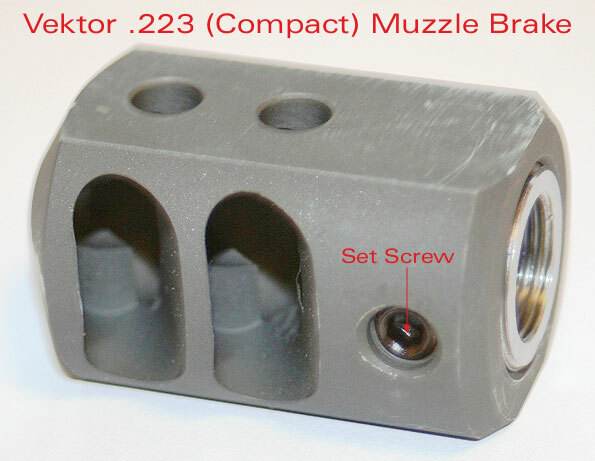 The Witt is also a true “without gunsmithing” brake as it does not require threading the barrel. In fact I’m confused by the article title since threading the barrel is the “gunsmithing” part of using most brakes. I ordered one 3 weeks ago. When I asked when it would be shipped they replied that they had shipped it “2 weeks” ago, no tracking. I recommend asking to have it shipped with some sort of tracking even if it costs more. This is very annoying, my rifle build is being delayed as my gunsmith wants the brake before he works on the barrel.